All Fort Washington homes currently listed for sale in Fort Washington as of 04/21/2019 are shown below. You can change the search criteria at any time by pressing the 'Change Search' button below. "One of the most prominent estates in the Philadelphia region and only 22 miles from downtown, this 37,000 SF modern residence designed by legendary architect Rafael Vi~oly is set on approximately 70 dramatic acres. While brilliant to display grand art collections,and host grand scale events; it is also perfect for an intimate lifestyle. Maximized views of the superb grounds and striking courtyard through lavish floor-to-ceiling windows. A grand 2-story entrance hall, a living room with an approx. 30-foot ceiling. Two dining rooms,library, Gourmet Eat-in-Kitchen, pantry and family room, media room, play room and offices round out the main living spaces. Master enjoys his and her marble baths, dressing rooms, sitting room, office and a private tower retreat that commands 360-degree views of the estate. 15' & 30' ceiling heights in certain rooms. Guest rooms open out to private balconies. Amenities include, 20,000 SF Playhouse; indoor,outdoor tennis;4,000 bottle wine cellar; pool, pool house;two stone farm houses,3 bedroom apartment and pond." "One of the most prominent estates in the Philadelphia area, this modern home of 37,000 sf was conceived by world-renowned architect Rafael Vi~oly, and resides on nearly 29 exquisite acres. Set within an impressive stone courtyard, the main house offers museum-quality galleries and hallways suitable to display vast art collections, yet also perfect for a more casual and intimate lifestyle. Divided into three elegant wings, the interior maximizes views of the courtyard and exquisite grounds via floor-to-ceiling windows in all rooms and interior corridors facing the courtyard. The North Wing is devoted to the family, the East Wing is devoted to two Dining Rooms and the South wing is devoted to a heroic scale Living Room, Grand Foyer and Media room. A tower provides 360 degree views of the entire estate. The verdant grounds also hold a pavilion, as well as a scenic swimming pool complete with a poolhouse. 15' & 30' ceiling heights in certain rooms. Taxes reflect entire parcel. This is a partial offering of MLS #6422283." "One-of-a-kind property now available at Arbor Hill, set amidst 18 idyllic acres featuring a 20,000 s.f. 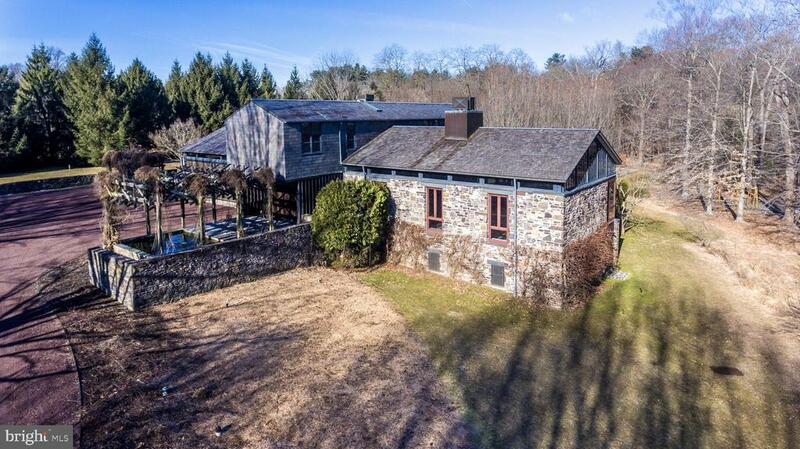 bank barn converted into an incredible multi-purpose building & luxurious 3 BR single family residence. Overlooking acres of breathtaking grounds and a gorgeous pond, this unique building houses a sport court, indoor tennis court, gymnasium, and state of the art high-end locker rooms including sauna. Also features outdoor tennis & pavillion, and 2 renovated historic stone guest houses, one with 2 bedrooms & one with 4 bedrooms. This is a partial offering of MLS #6422283"
"Luxurious 1930's Country Georgian Manor Estate with traditional architecture reinterpreted for modern times. Exciting new, bright and clean interiors, successfully blending old world exterior with modern aesthetics. Majestically sited at end of tree lined driveway on 14 tranquil acres offering exclusive privacy. This 5 Bedroom, 4.2 Bathroom home has been meticulously updated in 2018 with exquisite attention to detail throughout. The light-filled and well-proportioned rooms are highlighted by high ceilings, exceptional millwork, oversized windows, numerous fireplaces and hardwoods throughout. Fabulous country kitchen with casual eating features Sub Zero, Viking cooktop, double wall ovens, 2 sinks, radiant heat floors and fireplace. Second floor includes sumptuous master suite with balcony overlooking picturesque acres and 4 additional bedrooms. Amenities include 70' heated lap pool, exercise cabana with full bathroom and sauna, Spacious flagstone terrace overlooking well designed landscaping with mature trees, irrigation system, outdoor lighting and award winning perennial gardens to name few. This incomparable estate includes every amenity for today's lifestyle and is spectacular in every way. This home is available immediately." 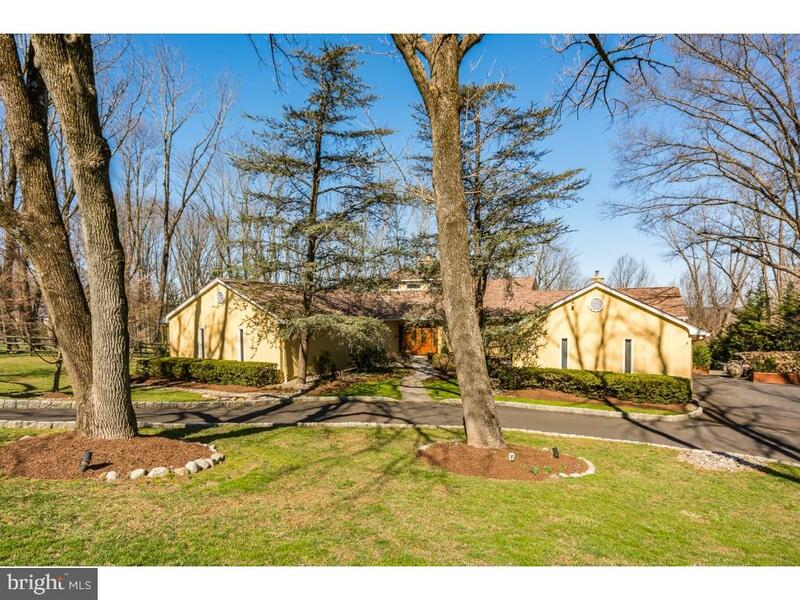 "Presenting an absolutely exceptional private compound, situated on 4.5 acres in Whitemarsh Township. Move right in to this fabulous residence where nothing has been spared in the thoughtful renovations and additions. Architectural designs by Peter Zimmerman and most recent renovations/additions by Blake Development. The front entryway opens to a center hall, flowing beautifully to the living room, dining room and study. Handsome office/library with fireplace and full bath could also be a lovely first floor master. Cooking and entertaining is a delight in the spacious, gourmet, eat in kitchen with Professional GE Monogram/Subzero appliances, custom cabinetry and wet bar. Adjoining family room with exposed barn beams, stone fireplace and French doors leading to a beautiful flagstone terrace. Mudroom, large laundry and powder room. On the second floor, a master bedroom to die for with fireplace, spacious, well appointed master bath with steam shower, radiant heat and large walk in closet. 4 additional bedrooms and 3 bathrooms. Walk up attic for storage. The lower level offers bar, media room, 1200 bottle wine cellar, powder room and gym. Outstanding features throughout the house include detailed millwork and moldings, custom lighting, whole house stereo sound, random width flooring, five fireplaces, abundant closets and thoughtfully designed built in storage spaces. New cedar shake roof, updated mechanical, electrical systems. 3 car detached garage with guest suite and bath. The latest addition to this fabulous compound is the 1400 square foot Party Barn loaded with all the amenities you could hope for. Nano doors open to flagstone terrace with fireplace overlooking pool. Mature, meticulously maintained landscaping designed by Carter Van Dyke complete the picture. 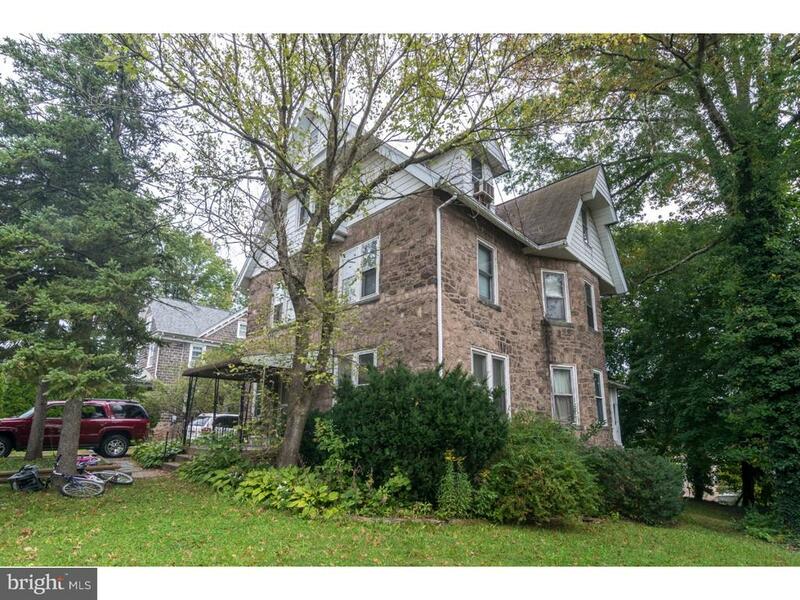 All said, an exciting opportunity to own a magnificent property in a premium country location, just minutes to Chestnut Hill, the PA turnpike, and an easy commute to the Main Line and Center City." "A masterful blend of stone, wood, glass and metal elements accentuated by vaulted ceilings, walls of windows and an incredibly open floor plan are blended together to create one of the most exciting homes in the area. This special home is a work of art. Situated on 4.86 expertly landscaped acres on Sheaff Lane, the golden mile of Fort Washington, this unique and special 4 bedroom, 6 bath home with 1st floor Master Suite, Elevator and Finished Lower Level provides an architectural showcase of nature combined with nurture. The gated entrance leads to a long stone driveway and courtyard with slate patio and Koi pond covered by an artistic, vine-covered pergola and bordered by low, hand-laid stone walls. The entire 1st floor has radiant heated marble, slate, tiled and random-width, wide-plank hardwood floors and stereo speakers in most rooms. The dramatic and spacious combination Dining and Great Room with over 1200 sq ft offers a 2-story, vaulted ceiling with exposed beams surrounded by walls of windows including customized clerestory windows above and featuring reclaimed hardwood floor bordered by slate, a 4-way gas fireplace with floating marble hearth and fabulous see-through, mesh floor-to-ceiling lighted chimney. The Kitchen is open to both the Family Room and Breakfast Room, separated by a floating wall, and features a center island with granite counters, 2 Miele dishwashers, 2 Dacor stainless wall ovens, a 6-burner Dacor gas stove, Subzero refrigerator, microwave and tiled backsplash. The adjacent Breakfast and Family Rooms include slate floors and walls of windows overlooking the grounds. A fabulous Master Suite with more clerestory windows and exposed beams includes a cast-iron gas fireplace, 2 incredibly spacious walk-in closets, and 2 separate Full Baths with marble floors, floating marble vanities, soaking tub, 2 spa showers with frameless glass doors, towel warmers, and one of the bathrooms includes an additional superb outdoor shower. A connecting library"
"Not to be missed. 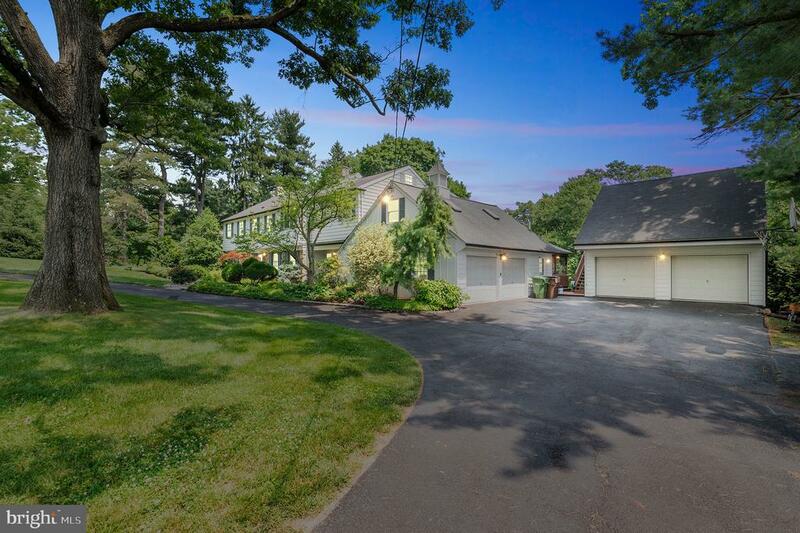 Traditional center hall colonial tucked down long driveway in private tranquil setting on almost 4 acres. Front yard is directly facing prestigious Philadelphia Cricket Club Militia Hill golf course. With 5 Bedrooms and four and a half baths, this home offers spacious rooms with a terrific flow. 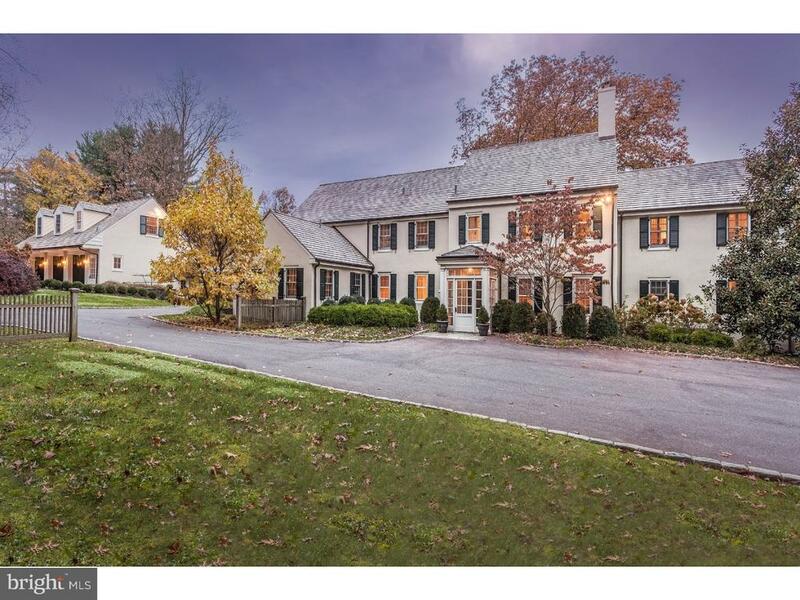 This gracious center hall colonial is flanked by a handsome wood paneled library and a light filled formal living room both with stately fireplaces. The formal dining room, light filled gourmet kitchen and covered outdoor patio are the perfect layout for indoor and outdoor entertaining and living. The rear yard is a private oasis with newly renovated swimming pool. Upper floor features master bedroom suite with Juliet balcony overlooking picturesque grounds, 4 additional bedrooms and three full baths. The lower level is finished and is used as a recreation room with pool table. Other special features include: exquisite custom millwork, spacious mudroom, hardwood floors throughout, front and rear staircases and two car garage. Close to Fort Wash. state park, Chestnut Hill, several Country Clubs, Blue Route and PA turnpike." "Covered front porch welcomes you into sun filled Living Room with lots of windows and light. Brick fireplace and custom book cases add charm. Formal Dining Room, Galley Kitchen and Breakfast rooms with plenty of windows. Kitchen has door going to back yard and patio area. Front and back stair case take you upstairs to 3 good size bedrooms and a full bath. Walk up stairs to floored attic allowing for lots of storage. Basement also has storage area, hook ups for washer and dryer and entrance to garage. 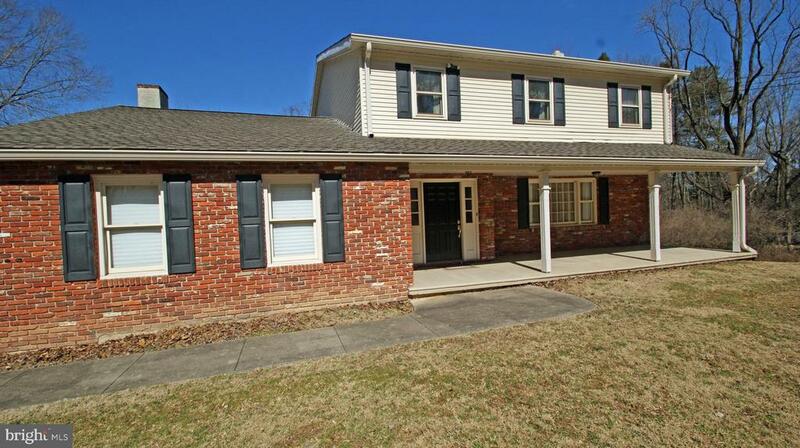 In acclaimed Upper Dublin School District with Great location near 309 and PA Turnpike and walk to train. Sold in bundle with 103, 107. Strong Rental History." "Charming stone Victorian with spacious room sizes. The home offers a flexible floor plan with 4 bedrooms and possible in law suite plus additional rooms on the second and third floors. First floor has entrance hall, formal living and dining rooms with 2 fireplaces (they are sealed off) and large eat in kitchen. Covered front porch, rear flagstone patio and finished area in basement provide additional uses. Off street parking in drive way with capacity for 4 cars. Convenient location to all major routes and walk to train. Long Rental History." 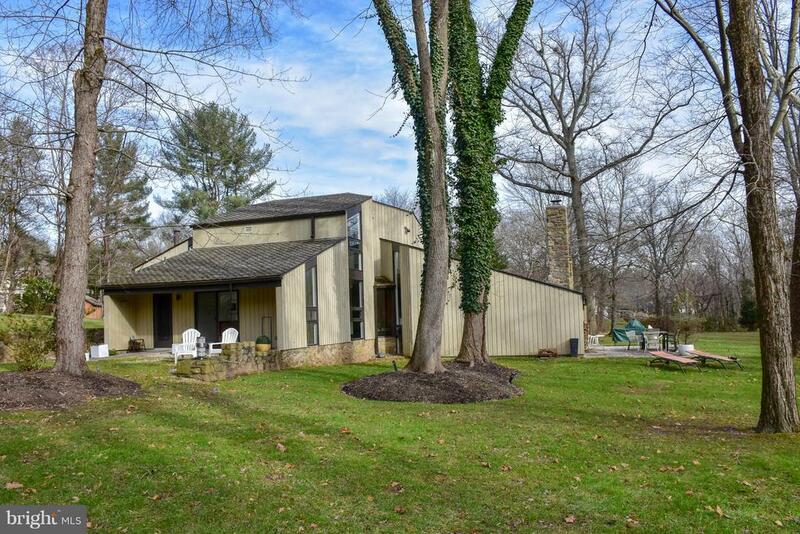 "Unique contemporary home on an extremely private 2.68 Acres on Sheaff lane in Fort Washington. This home is located at the end of a long private driveway tucked in to a beautifully wooded area. Designed to take full advantage of its lovely natural setting, large windows flood this contemporary home with light. The generous dining room features floor to ceiling windows, as well as sliding doors onto the patio. The large family room has ample entertaining space and a cozy fireplace. The first floor master has sliding doors opening onto a private patio, and a recently updated bathroom with oversize glass shower. Interesting architectural details abound from slate floors through the open first floor, an interior water feature, and stone details throughout." "One of the few remaining locations in this extraordinary community!! The doors to excellence have opened at Washington Manor in Upper Dublin. Located in a picturesque setting that includes walking trails, an abundance of permanently preserved open space and privacy. Pure Sal Paone perfection! Thanks to excellent designs, workmanship and attention to detail that have been the hallmarks of Sal Paone Builder for more than 40 years. Enjoy a rare opportunity to live in a beautifully hand-crafted home in a community minutes from the Ft. Washington Interchange, Rt 309, Pa Tpk and minutes from I-476 and charming Chestnut Hill. Fantastic local Parks and award winning Upper Dublin Schools complete this as an A+ Montgomery County single family home community. 43 new single family homes will surround the historic Emlen House, which served as George Washington's Headquarters prior to the Continental Army's march to Valley Forge in 1777. Sal Paone, Builder plans to preserve this historic 3 story mansion. The Surrey will exceed your expectations on every level?Gracious Living and Dining Room, Study, and a generously sized Family Room with gas Fireplace surround a gourmet Kitchen with Butler's Pantry and Breakfast Room; truly an entertainers dream! The 2nd floor presents an elegant Owners Suite with Sitting Area and luxury Bath. A Princes Suite with Private Bathroom and 2 additional generously sized Bedrooms, Hall Bath and conveniently located Laundry Room complete this level. Full Basement with 9' Foundation Walls enables you to create additional living space that meet your family's needs. An abundance of very generous and impressive standard features on all of the homes will include 9' ceilings on the 1st floor, 2x6 exterior walls, double hung windows, Oak treads/pine risers on main Foyer staircase, GE Stainless Steel Appliances, Granite Countertops in the Kitchen and Owner's Bathroom and coordinating Ceramic tile in all Bathrooms? New beginnings are so exciting"
"TWIN PINES. Gorgeous and well-maintained custom home offering one level living plus expansive walkout finished lower level with sunken fireplace, exercise room/theater, powder room, shop and storage rooms. Kitchen has been recently remodeled with granite counters and custom solid cherry cabinets. Kitchen features high end appliances including Meale double oven and warming drawer, Dacor under-cabinet microwave, built-in Thermadore refrigerator, Meale dish washer, and built-in five burner Thermadore induction range on island with pop-up exhaust fan. Kitchen pantry offers additional built-in cherry cabinets and refrigerator. Stairs from pantry lead to the finished lower level. Featured next to the kitchen is the wet bar with built-in blender. Paneled doors from the bar open to both the living room and dining room making the home great for entertaining. Next to the kitchen is a breakfast nook and the TV room. The TV room includes a brick fireplace and wood burning fireplace insert. Also leading from the kitchen is a large dining room featuring built-in cabinets followed by the living room with fireplace, cathedral ceiling and sliding glass door to the deck. Bedroom wing includes four generous bedrooms, each with own bathroom; and first floor laun dry room with built-in cabinets and hampers. Private fifth bedroom is upstairs next to kitchen. Lower level opens thru sliding glass doors to patio and back yard. From the main level, spiral stairs lead down to the lower level or up to the office loft. Loft contains built-in bookshelves, a gas fireplace, and overlooks the living room below. Across the back of the house is the expansive ip~ deck with sliding glass door access from the kitchen living room and master bedroom. Ip~ is a Brazilian hardwood that has the same fire rating as concrete and is impervious to wood boring insects. Special features include: Five bedrooms, Four full and two half baths, Four fire places, Four sliding glass doors, Spiral staircase leading to off"
"Welcome home to 103 Flick Dr., a 5 BR, 4 full and 2 half bath colonial with 4 fireplaces and a huge custom great room sited on a beautiful 1.6 acre parklike setting with lush trees and privacy in a cul-de-sac of 6 homes in sought after Upper Dublin Twp. Enter into the inviting foyer with wide plank hard wood floors that extend throughout the living room, dining room and family room. The elegant dining room has built-in glass display shelves and plantation shutters. The living room has matching plantation shutters, and offers a large seating area and fireplace with plenty of room to accommodate both a baby grand and game table. Beyond the living room is the home~s stunning dramatic sun filled great room with an artistic wood cathedral ceiling, two seating areas, wet bar and wall of windows to bring the outside in. A second den with fireplace can be entered from the kitchen for relaxing in a more intimate setting and leads into the wonderful eat-in kitchen with abundant cabinetry, granite counters, center island and large bay window. A screened in porch and wood deck are accessed from the kitchen and great room, offering al fresco dining and outdoor enjoyment for three seasons. Upstairs is the master suite with recently renovated bathroom, three large closets, sitting area with a romantic gas fireplace flanked by custom built-ins and access to a bonus room that is perfect for exercise, crafts or anything you can imagine. A back staircase leads to the master and bonus rooms located by hallway near the kitchen.Two large bedrooms, one ensuite with a renovated bathroom, a 4th bedroom, hall bathroom, fabulous office overlooking the great room, one of two laundry areas (the other is on the main floor) and floored attic with cedar closet complete the upstairs living quarters. The home~s finished walk-out lower level includes a 5th bedroom with fireplace, perfect for guests, au-pair, second office, play/hobby area. There is an entertainment area, full size LAP POOL and ho"
"Character and time-honored integrity are Built Solid into every detail of a Sal Paone home. The newest Paone community is now ready for You. Washington Manor is exceptional! Enjoy living surrounded by open space, views of nature, and privacy. 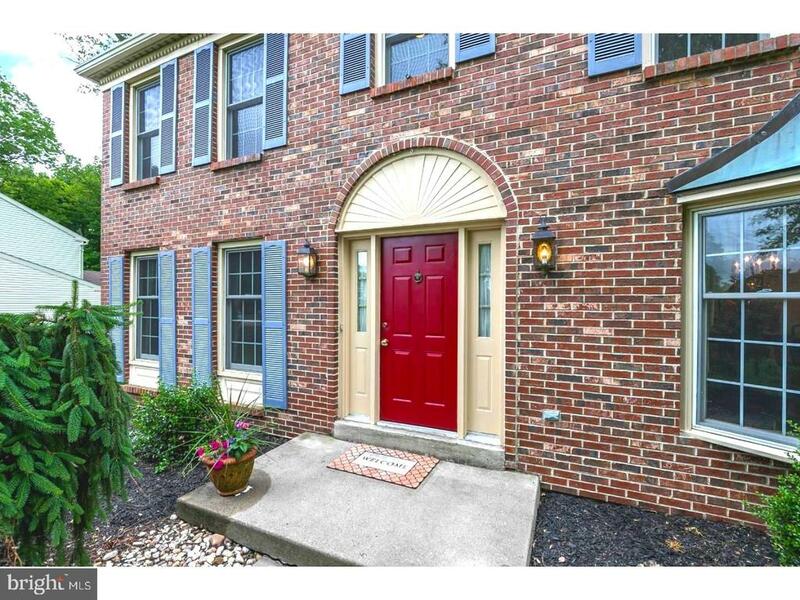 Convenient to Chestnut Hill, Plymouth Meeting and King of Prussia, this Ft. Washington single-home community is just minutes from the Ft. Washington Interchange, Pennsylvania Turnpike, Rt. 476 and Rt. 309. Enjoy a rare opportunity to live in award-winning Upper Dublin single-home community being constructed on the grounds of the historic Emlen House. Emlen House served as George Washington's headquarters prior to the Continental Army's march to Valley Forge in 1777. Sal Paone Builder plans to preserve this historic 3-story mansion. Welcome to the New Haven. Approximately 3400 square-feet of Paone Perfection! A 2-story grand foyer with T staircase welcomes you to this stunning home, while the two-story family room is the focal point of this impressive floor plan. The first floor offers a study, living and dining rooms, a welcoming kitchen and breakfast room, plus a laundry and powder room. All rooms beautifully blend to create a design that will surely impress you. The 2nd floor presents an elegant owners suite with luxury bath, Hall bath and 3 additional, generously sized bedrooms. One is designed as a princess suite with a private bath. An abundance of very generous and impressive standard features on all of the homes include 9' foundation walls, 9' ceilings on the lst floor, 2x6 exterior walls, double-hung windows, oak treads/pine risers on main Foyer staircase, Site-Finished Hardwood flooring in many areas of the lst floor, GE Stainless Steel appliances, Granite Countertops in the kitchen and Owner's Bathroom as well as coordinating Ceramic tile in all Bathrooms. Enjoy the carefree lifestyle you deserve. 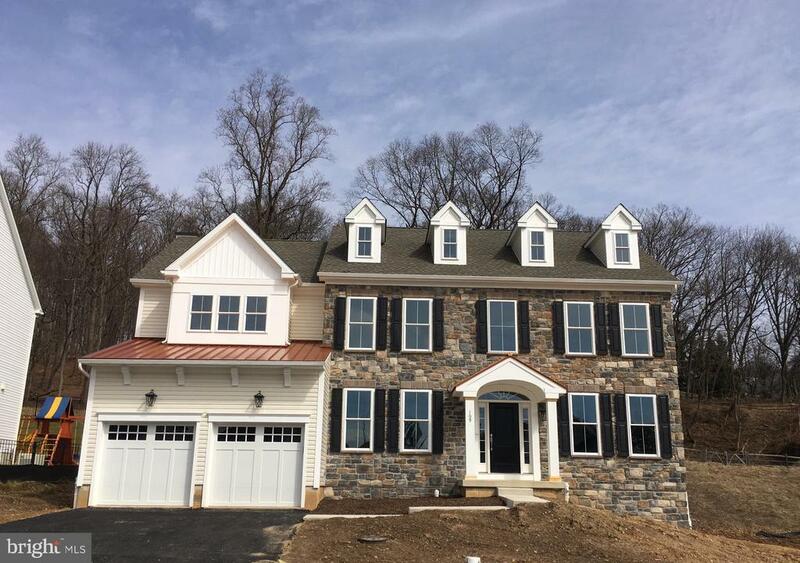 You will love coming home to your New Built Solid Sal Paone home, and a location that makes Washington Manor "
"Distinctive Designs, Meticulous Craftsmanship?Sal Paone, Builder introduces Washington Manor. This exceptional, picturesque community of 43 single family homes, surrounded by permanently preserved Open Space provides nature, views, privacy and convenient access to the Fort Washington Interchange of the PA Turnpike and Route 309. You will enjoy a rare opportunity to live in a community constructed on the grounds of the historic Emlen House, which served as George Washington's headquarters prior to the Continental Army's march to Valley Forge in 1777. Sal Paone Builder plans to preserve this historic 3 story mansion. These Upper Dublin single family homes feature an abundance of very generous and impressive standard features on all of the homes includes 9' foundation walls, 9' ceiling on lst floor, 2x6 exterior walls, double hung windows, Oak treads/pine risers on main Foyer staircase, GE Stainless Steel Appliances, Granite Countertops in Kitchen and Owner's Bathroom as well as coordinating Ceramic tile in all Bathrooms. No doubt that your new Built Solid Paone home will be the home of your dreams." "EXPRESS DELIVERY...!! !Ready for Summer Enjoyment! For all of the times that you hear about an Exceptional Community, this one is truly worthy of its description. Sal Paone's Washington Manor is the newest Upper Dublin single-family home community. Extraordinary designs, meticulous craftsmanship and built solid construction merge to create a home that will surely impress you. Enjoy a rare opportunity to live in a beautifully hand-crafted home in a Montgomery County single-home community minutes from the Ft. Washington Interchange, Rt. 309, the Pennsylvania Turnpike and minutes from 1-476 . Fantastic local parks and award winning Upper Dublin schools complete this A+ community. 43 Single-family homes will surround the historic Emlen House, which served as George Washington's Headquarters prior to the Continental Army's march to Valley Forge in 1777. Welcome to the HAMPTON model, showcasing a timeless traditional design. Enter into this home through a two-story foyer with adjoining study. Front- to-back spacious living and dining rooms create the perfect flow for entertaining. The gourmet kitchen leads to a family room with gas fireplace. A conveniently located mud room and powder room complete this level. The 2nd floor presents a main bedroom with optional sitting room, luxury main bath with his/her vanities, private water closet and extremely generous main closet. 3 additional bedrooms, a Hall Bath and a conveniently located Laundry Room complete this level. The full basement with 9' foundation walls enables you to create additional living space on the lower level that will meet your family's needs. An abundance of very generous and impressive standard features on all of the homes in Washington Manor will include 9' ceilings on the 1st floor, 2x6 exterior walls, double-hung windows, Oak treads/pine risers on main Foyer staircase, GE Stainless Steel Appliances, Granite Countertops in the Kitchen and Owner's Bathroom and coordinating Ceramic tile in all Bathr"
"ONE OF THE FEW REMAINING LOCATIONS AVAILABLE! Washington Manor, the newest Single Family Community offered in Fort Washington is proudly being introduced by Sal Paone. Welcome to the finest in quality and design by this award winning builder. You will enjoy a beautiful, private community set amidst acres of preserved wooded open space and walking trails. This extraordinary community will consist of 43 new single family homes. The convenience of easy access to Pa. Tpk, Route 309 and I -476 along with award winning Upper Dublin schools create an opportunity like none other! 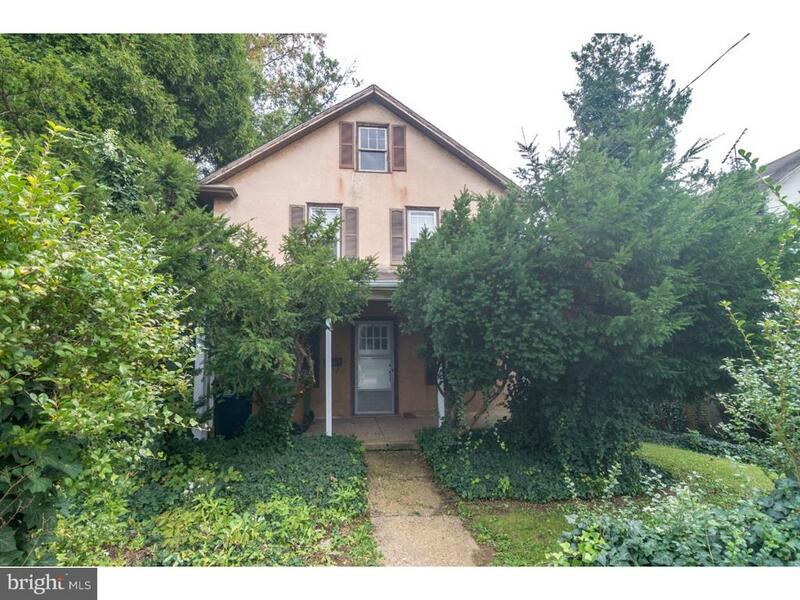 This is a rare opportunity to live in a community constructed on the grounds of the preserved, historic Emlen House which served as George Washington's Headquarters prior to the Continental Army's march to Valley Forge in 1777. The Nottingham- a NEW and exciting floor plan will offer you the comfort and convenience of a luxurious 1st floor Main Bedroom Suite and generously sized open Living/Dining area open to the Kitchen with Breakfast Room. A private Study, Laundry/Mud Room and Powder Room complete the 1st floor. The 2nd floor offers 2 additional Bedrooms (4th Bedroom optional) and Full Hall Bath. An abundance of very generous and impressive standard features on all of these Fort Washington single family homes will include 9' foundation walls, 9' ceiling on lst floor, 2x6 exterior walls, double hung windows, Hardwood flooring, Oak treads/pine risers on main foyer staircase, H GE Stainless Appliances, Granite Countertops in Kitchen and Ceramic tile in baths. Live the lifestyle you deserve- Welcome home!" 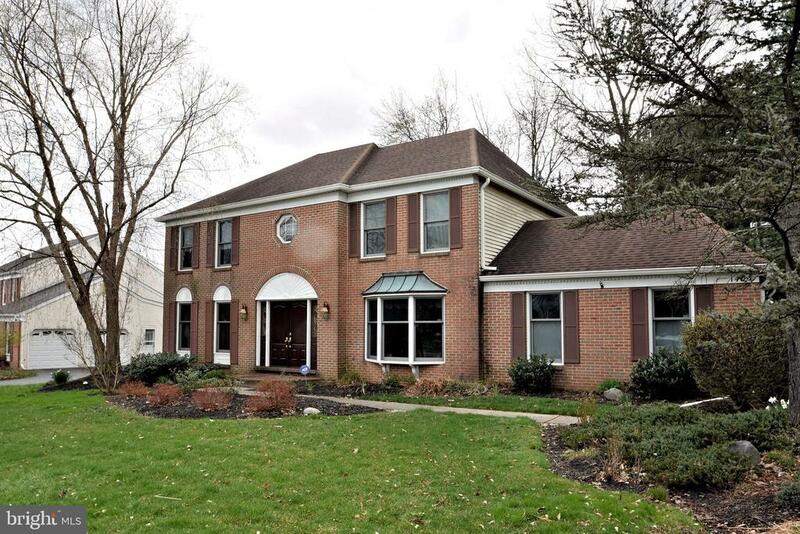 "An elegant approach to Traditional style is what you will find in this 4 Bedroom 2 full Bath and 2 half Bath Colonial in Whitemarsh Township. Situated on over 3 acres, this beautiful home features covered front porch, two story entrance foyer w/magnificent hardwood flooring.The large formal Living Rm is a gathering place for family and friends to make and share memories. The gourmet Eat-In-Kitchen has 42 maple cabinets, under cabinet lighting, granite counter tops, new stainless steel appliances, hardwood flooring, recessed lighting, bar seating, separating dining area and access to a rooftop deck with picturesque views. This fantastic space is drenched in sunlight and flows perfectly into the adjacent Family Rm. The Family Rm has a brick wood burning fireplace and hardwood floors. The Powder Rm is updated w/new sink, vanity, and tile flooring. The first floor Laundry/Mud Rm has cabinet storage, granite counter top, laundry sink, tile floor, and is accessible from the garage and driveway. The curved staircase to the second floor and the hardwood floor landing further enhance this already beautiful home. The Owners Suite has a sizable walk-in closet, Owner's Bath w/tub/shower, updated sink, vanity, fixtures, and flooring. The hall Bath is outfitted w/tub/shower, updated sink, vanity, and tile flooring. The three additional Bedrooms are roomy w/excellent closet space. The lower level is bright and adds livable square footage. Separate Entertainment Rm w/amazing stone wood burning fireplace, walk-out to covered back patio, Powder Rm w/new sink, vanity, fixtures, and flooring. Bonus Rm, separate Mechanical Rm, and storage area. Other Amenities: new HVAC system-four ton system, central air, updated 200 amp electrical, newer windows, two car attached garage w/attic storage and new epoxy floor. Steps away from Fort Washington State Park and conveniently located to major roads, schools, shopping, restaurants and more. Call now to Schedule your appointment." "This traditional, colonial home features a one of a kind, custom designed In Law Suite on the second floor, which is serviced by an elevator. This well thought out In Law Suite addition has easy access from the main level via the elevator. Its unique floor plan incorporates a full Eat In Kitchen, Bedroom, Easily Accessible Bathroom and an open space Living Room that provides a Great Room effect with 2 conveniently located cable outlets. In addition to the In Law Suite, we have 4 more Bedrooms on the 2nd floor. The Master Bedroom has a walk in closet, remodeled Master Bath (heated floor)and an additional 11' X 10' Study/Office, as a Bonus Area in MBR! Hall Bath, Bedrooms 2,3 & 4 finish off the Upper Level. All Bedrooms have fan, light & phone lines. Main Level offers a Center Hall entrance, Living Room and Formal Dining Room, Powder Room, Huge Custom Kitchen with Cherry Cabinets& additional 12' X 17' Eating Area. The Family Room has custom built-ins, Brick/Gas Fireplace, Wet Bar & Seating Area with Exit to Rear Deck. Here, you can sit and relax with a retractable awning to shield out the sun, while overlooking a serene wooded area. A generously sized Laundry & Mud Room area complete the Main Floor. The Basement is finished with an Entertainment Area with Cable Outlet, separate Work Area, Cedar Closet and Exit to the Rear Yard. 2 Car Attached Garage with Storage. Overall feel of the home is larger than the Public Records square footage. This original owner has provided many upgrades including Powder Room, Deck, Heater, A/C, Master Bedroom Bathroom, Kitchen Dishwasher, Hot Water Heater and Attic Fan..........all remodeled or replaced within the past 6 years! Some Replacement Windows. Location is convenient to Shopping, Restaurants, Route #309, Fort Washington Train Station and PA Turnpike. Outstanding Upper Dublin School District. 24 hour notice needed for all appointments!" "One of Only 10 locations available for you to enjoy! 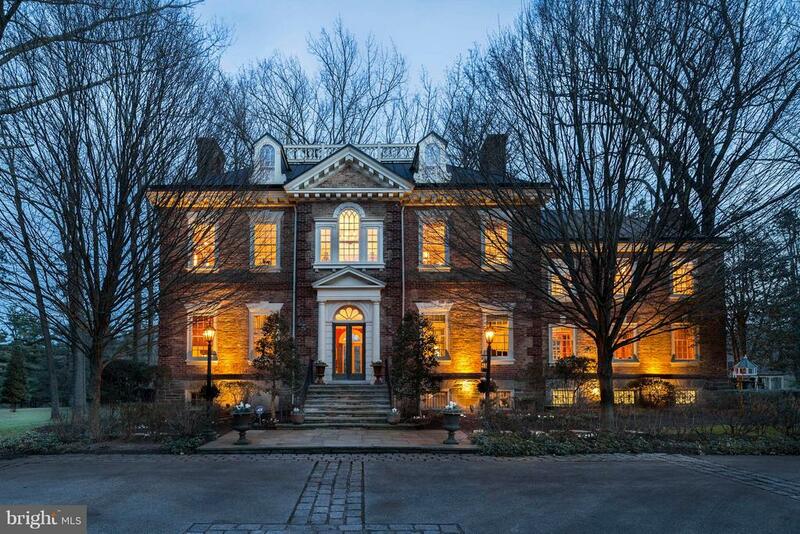 Distinctive Designs, Meticulous Craftsmanship?Sal Paone, Builder introduces Washington Manor. This exceptional, picturesque community of 43 single family homes, surrounded by permanently preserved Open Space provides nature, views, privacy and convenient access to the Fort Washington Interchange of the PA Turnpike and Route 309. You will enjoy a rare opportunity to live in a community constructed on the grounds of the historic Emlen House, which served as George Washington's headquarters prior to the Continental Army's march to Valley Forge in 1777. Sal Paone Builder plans to preserve this historic 3 story mansion. The Doylestown Model has an updated and stylish design for today's lifestyle! Features include a 2 story entry, with a versatile space that can be used for a study or cozy reading room. The spacious Dining/Breakfast area, is open to a custom-designed Kitchen and Family room with Fireplace, ready to welcome family and friends! Site finished hardwood flooring in Foyer, Breakfast Area/ Dining Room, Kitchen, Powder Room and lst Floor Hall create a warm and elegant space. The 2nd floor welcomes to a generously sized Main Bedroom, and luxury bath with double sinks and granite countertops. 3 Additional Bedrooms, a Hall Bath and the convenience of a 2nd floor laundry room complete exciting floorplan. These Upper Dublin single family homes feature an abundance of very generous and impressive standard features on all of the homes includes 9' foundation walls, 9' ceiling on lst floor, 2x6 exterior walls, double hung windows, Oak treads/pine risers on main Foyer staircase, GE Stainless Steel Appliances, Granite Countertops in Kitchen and Owner's Bathroom as well as coordinating Ceramic tile in all Bathrooms. No doubt that your new Built Solid Paone home will be the home of your dreams." "Welcome to 1271 Tressler Drive in desirable Dublin Estates! Prime 1 acre lot backing to serene, picturesque views of nature all around! This impressive home offers almost 4,000 square feet of great living space and that does not even include the Full Finished Basement! Enter into the dramatic two-story foyer highlighted by a sweeping dual staircase and gleaming hardwood flooring extending through most of the 1st floor! Spacious formal living room and dining room! Fabulous kitchen with granite center isle & counters, ceramic tile flooring, and a spacious breakfast room! The kitchen adjoins with an unbelievable two-story family room with a bright wall of windows and a lovely gas fireplace! A beautiful custom-built Florida/sunroom is adjacent to the kitchen and provides great entertaining space for family and friends! There is a large Trex deck off the sunroom overlooking the gorgeous rear yard with spectacular views! Completing the 1st floor is a professional office with French doors, a spacious laundry room and powder room! The second floor features four very spacious bedrooms and three full baths! The master bedroom suite features a cathedral ceiling, a spacious sitting area, two walk-in closets and a third closet! The master bath has a vaulted ceiling with skylight, dual sinks, a soaking tub and shower stall! The three additional bedrooms are very spacious -- two of them have private full baths and walk-in closets! The lower level has been professionally finished off and provides phenomenal extra living space! There is a large finished space with a kitchenette area, two bonus rooms with great closet space which could have many uses -- guest room, exercise, office, play or craft room -- AND a 4th full bath! Three-car attached side garage! Beautifully landscaped exterior! Stucco exterior was professionally redone in 2012! Superb location within walking distance to Mondauk Park! Award-winning Upper Dublin School District! Gorgeous property -- don't miss out!" 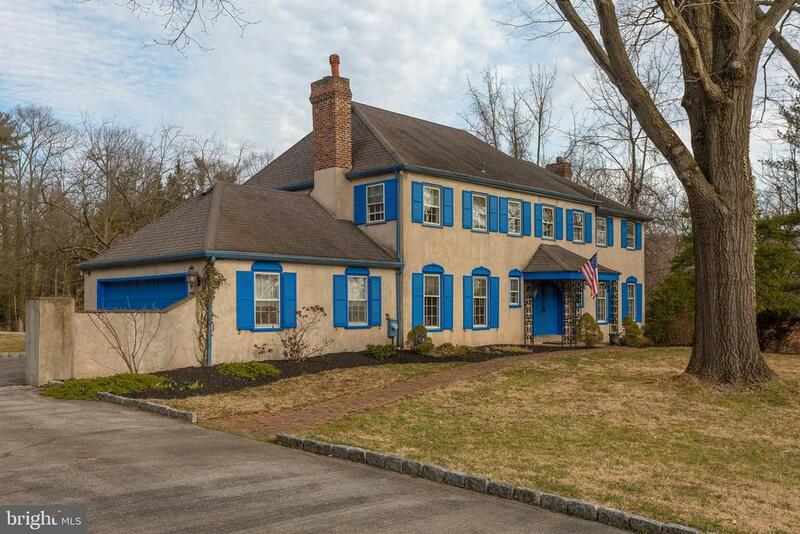 "Come see this glamorous style center hall colonial. Walk into the Sun Filled Foyer with gleaming Hardwoods and luxurious, winding staircase. Move in the Kitchen with beautiful layout, Cabinets and Stone counters. Amazing over sink window keeps the light filtering in. From there you will find your Fireplaced, Family room with powder room conveniently located. This floor also has another Living Room area and a Formal dining room with beautiful flooring. Go upstairs to your Master bedroom with walk in closet and en-suite bath that features double vanity, separate shower and steeping tub. Three additional generously sized bedrooms and hall bath complete the second floor. This home also has a Finished Basement with tile floors, and powder room and 2 additional finished rooms. The interior here also has main floor Laundry room, 3 full and 1 half baths total. This home was made for fun and entertaining with rear deck and large patio below!! Large built in Garage and Central air complete this home. Enjoy the local parks, shopping, restaurants, and close proximity to Upper Dublin School District! The the PA turnpike is very near. Be a part of the colonial atmosphere of Fort Washington and Book your appointment today!" "This stately brick front center hall colonial in desirable Dublin Chase has been lovingly maintained by the current owners. Enter this home through the newer front door into the dramatic two story foyer with hardwood floors and from there let the flow of this house take you to either into the spacious dining room , or the living room , which leads to the comfortable , light filled family room with a wood burning fireplace. The large kitchen and breakfast room feature access to the rear trex deck and the private back yard. Upstairs is a huge master bedroom with spacious closets and a large master bathroom with both a tub and a new walk in tile shower This home also features newer windows throughout , heater , hot water heater , kitchen floor and garage doors. 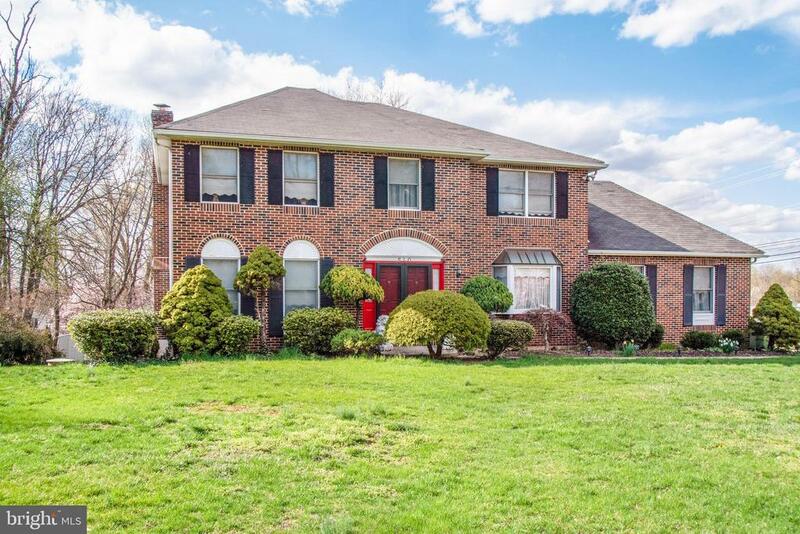 This home is conveniently located near a community walking and bike trail, all major arteries as well as shopping and Upper Dublin's highly rated school district ."